Welcome to another episode of SEO This Week! I hope you enjoyed episode 48 and are looking forward to episode 49. 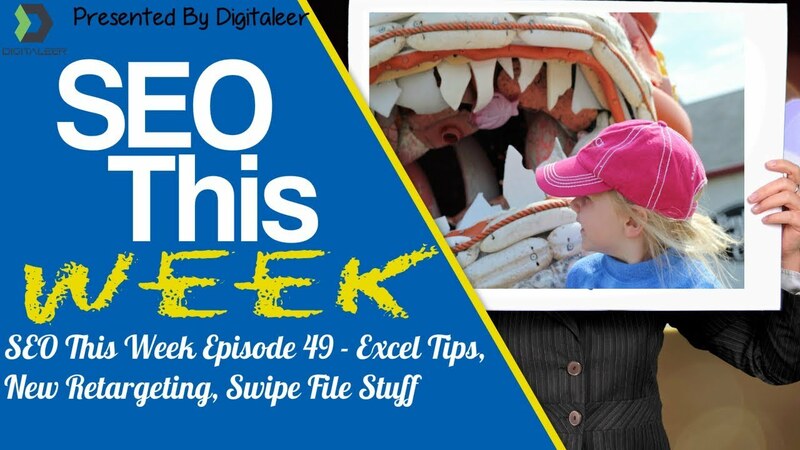 All this and more on Episode 49 of SEO This Week! Our Insights: Excel is probably our most used tool here at Digitaleer. Everything from link building to PPC management has its own custom designed sheet to provide us the data we want. And lets us not forget our keyword optimization reports, those are Excel based as well. So this article is a great resource for now and in the future because if you've ever fought with a sheet for an hour, you know how nice it is to have a cheat sheet to go to so you can get past one seemingly simple task. Our Insights: We do cold email outreach to get new business and I have to tell you that it can be a dishearting task, to say the least. We're competing with every spammer out there for the attention of a prospective client, marketing is a tough life I tell ya. However, undeterred we keep a swipe file and records of our highest performing titles (open rates) and messages (click through rates) in order to find the perfect combination. This post has some great titles you can adapt to your needs and add to your swipe file. Our Insights: We are sharing this article as a companion to the one below. Often times, when new tech comes out, places that people depend on for traffic like Google and Bing are pretty slow at adapting to it. This is the case with the platforms covered in this article, which is pretty alarming because we hear every day how people are creating sites using these tools more and more. 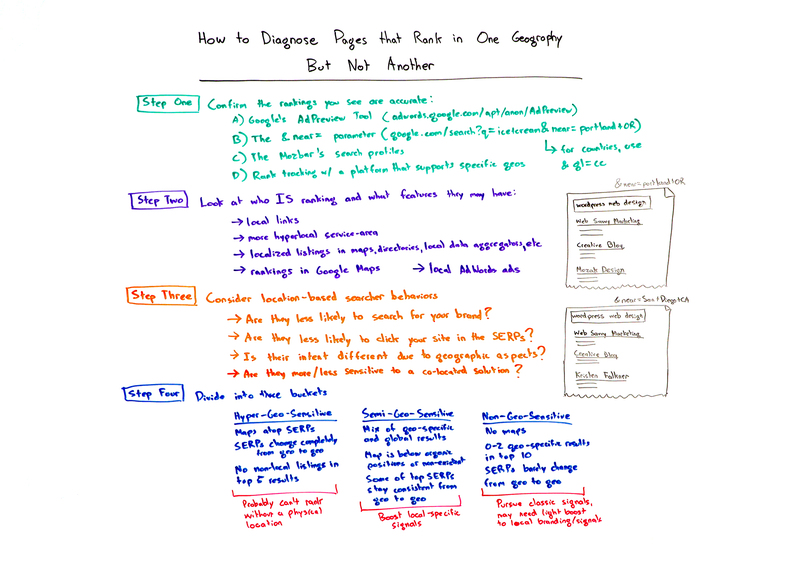 I think you'll find this article interesting from a testing perspective as well and we look forward to duplicating it to see if we get the same results. If we do, there are going to be a lot of business owners running on these platforms that will have some hard decisions to make. 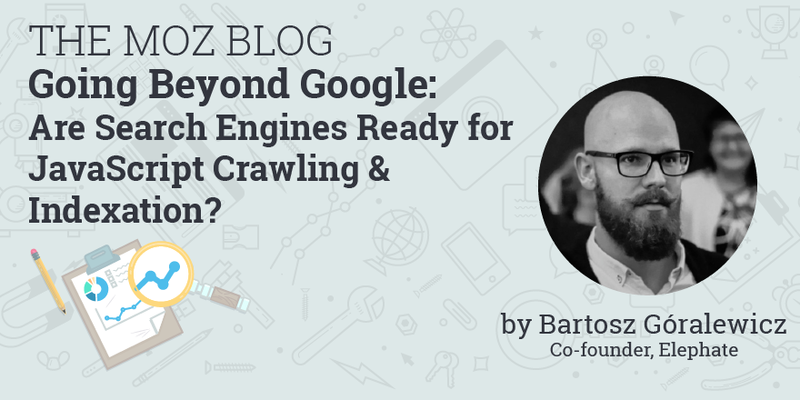 Our Insights: If it wasn't bad enough, most of the other search engines don't read these platforms properly either. Our Insights: Ever looked at your rankings report from your agency and see something different than what you are seeing, well you are not alone, even the rank trackers are messing it up. This video shows you why and some things you can look for to rank in different local areas. Our Insights: Perhaps I missed what this author had in mind with the title and the first paragraph, but this article doesn't so much to help you “hack” your content. It does, however, give some awesome tips for element changes to your design, calls to action, layouts, and titles that will no doubt help your conversion rates. Our Insights: Probably one of the most in-depth comparisons of the different tools that are out there, and while they did 17, it's scary to know there are probably 100 more out there. We use Google Optimize for our conversion rate optimization testing by the way. Our Insights: Events used to be a great way to generate interest on Facebook until the “get rich quick” types started using them to draw people to landing pages. Ever since then, interaction has been pretty low, as a matter of fact, I've not seen more than one or two people who are leveraging them very well anymore. That said, I think there is an opportunity for small business with them when combined with PPC on Facebook and this added bonus is only going to help improve conversions. Our Insights: Attacks like these happen every day, the key to not falling victim is to be aware and use common sense when working online. Anybody, even us, can get caught up by one of these attacks. The people who make them are successful because they are smart, determined, and skilled enough to pull it off. 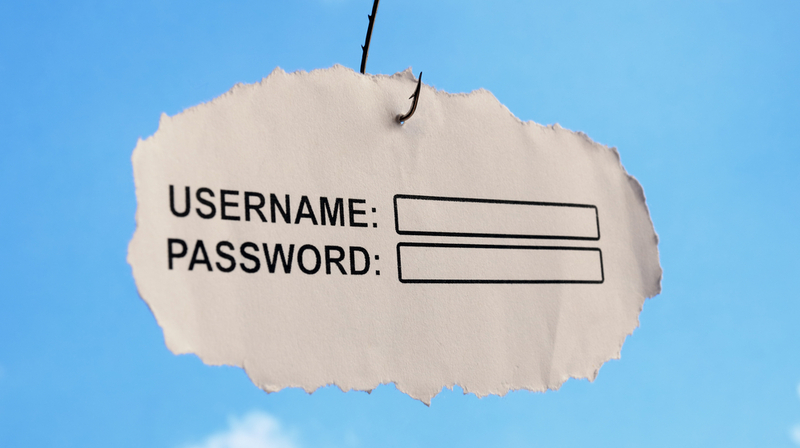 So just make sure you do the best you can, have solid passwords, and for god sake watch the news once in a while to learn about the latest threats.